You all know the feeling. You're running about on the training grounds, but you are not feeling entirely comfortable in the training jacket that you're wearing. It doesn't fully allow the free and natural movements. You take off the jacket, but then you start getting cold. You put on a bigger jacket, but the result is irritating limitations to your freedom of movement. 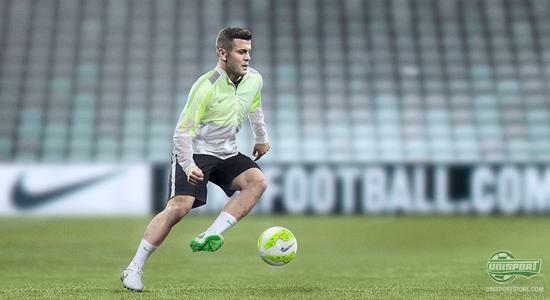 Nike are now ready to free us from the limitations. They present: The Revolution Jacket. In connection with our beloved game getting faster and more complex, it has also become more demanding. The result is that the players are required to put in even more effort, on an even higher level, and for an even longer period of time. Therefore, Nike have taken on the task of ensuring that their players can take to the pitch, whether it be for training or a match, with the maximum feeling of comfort and freedom. 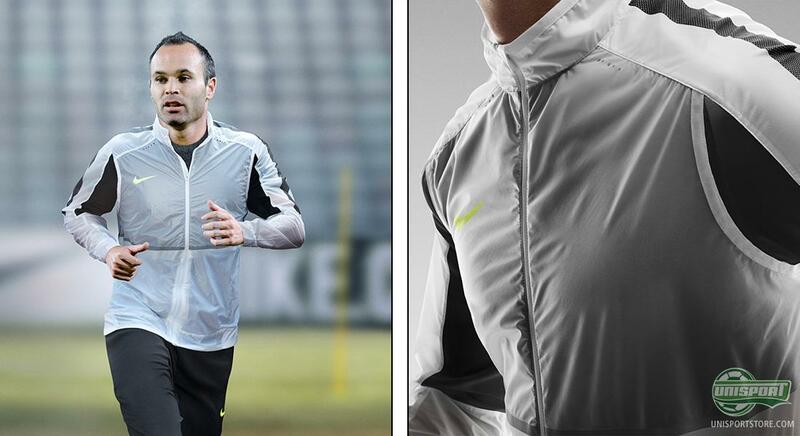 The new Nike Revolution Jacket is available from the 15th of January 2015. It comes as no surprise that Nike are once again trying to heighten the players performance with a new training jacket, which serves to keep the players more comfortable when running about on the training grounds. 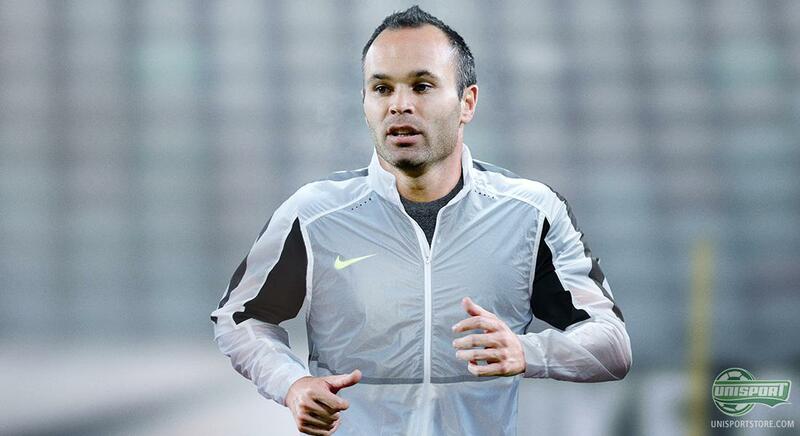 Nike has dubbed the new jacket the Revolution Jacket, and in addition to gathering feedback from some of their biggest footballers, the Nike design team have also brought in some central insights from their colleagues in the golf division, who have recently designed a jacket that allows the golfers a more natural swing. Therefore, this Revolution Jacket has been developed with lightweight in mind, for example by removing as much stitching as possible. 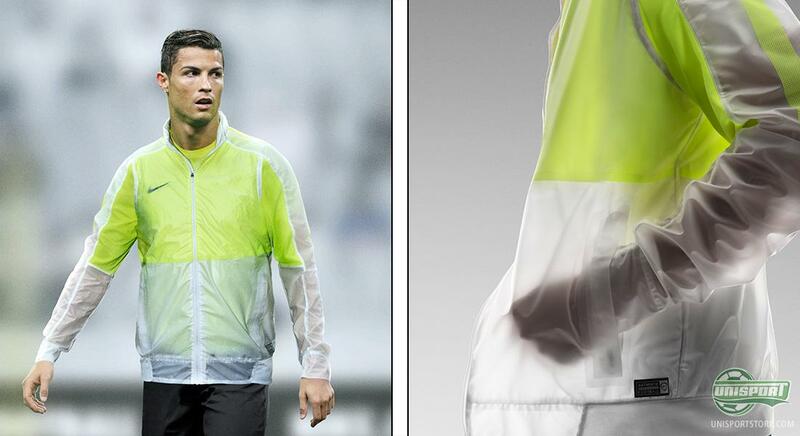 In addition, the jacket can also boast breath ability via Dri-FIT, and further comes with a nice mesh that has been coated by a see-through PU coating. 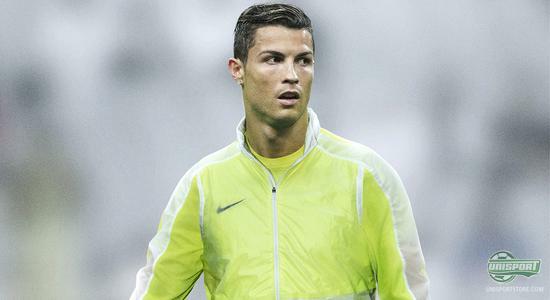 We are definitely convinced that the new Nike Revolution jacket will be a hit on the training grounds. Keep an eye on our site tomorrow where you will be able to buy the new Nike Revolution Jacket.